File this one under grown ups only getaway. Cuisinart Resort in Anguilla (my last #TBT post) could work with kids, with its variety of activities and inviting hydroponic farm to explore. 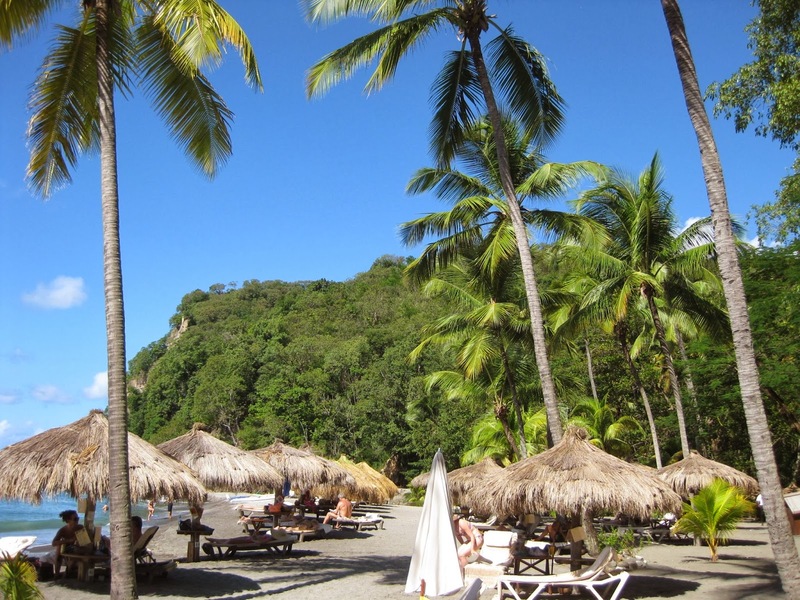 But if you're looking for a romantic, stranded on a deserted island vibe then Anse Chastenet and Jade Mountain on St. Lucia is the destination for you. Jade Mountain is perched on a mountainside high above the beach, with stunning architecture and a breathtaking view of the Piton mountains. It regularly appears in first place on every every Caribbean best of list and it's a top honeymoon destination. Each luxurious suite comes with its own infinity pool, brilliant idea because the beach is quite a hike (a golf cart will whisk you away anytime). There's nothing to come between you and the perfect view, and I do mean that literally. Each suite has only three walls. 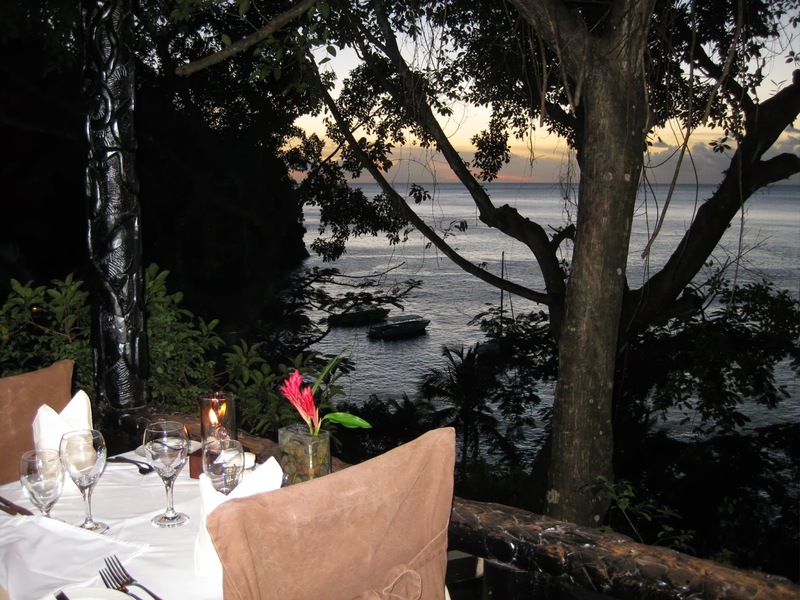 Which is why I'm glad Mr. C&G choose the beachside rooms down below at Anse Chastenet. Fully enclosed, air conditioned, and just steps from the water is more my speed. Plus I loved rolling out of bed and having my morning coffee on the beach as the sun was coming up. Hillside rooms at Anse Chastenet are also tucked in along the mountain, just not as high up as Jade Mountain. Most have the fourth wall missing or a louvered wall lets in refreshing tropical breezes. Breezes beachside are nonexistent, hence the need for AC in the lower rooms. It's not just me being a nature wimp. 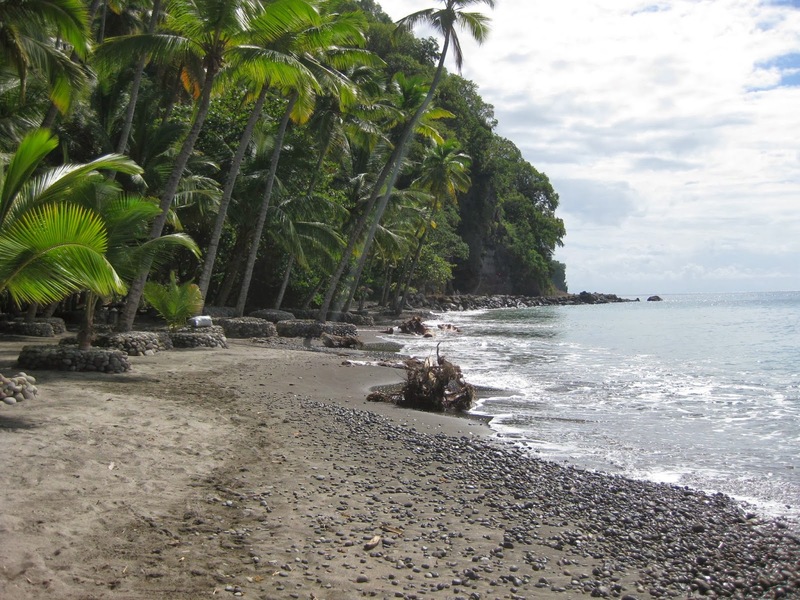 A second beach is a short walk or boat ride away if you're looking to pretend you and your lover have been shipwrecked in the middle of the Caribbean. This secluded stretch of sand comes with a chef and a bartender and don't miss the grilled burgers and cold beers from the aptly named Jungle Grill. Ingredients for all five restaurants come from the plantation on the grounds and a nearby farm provides organic vegetables. Have dinner in a romantic treehouse with a view or dine beachside under flickering candlelight at the amazing East Indian restaurant Apsara. January is coming to a close (cheers to that!) and after all my Caribbean research and writing I think I'm just about thawed out. It's been very inspiring and I wish we were packing our bags for a quick winter escape but instead I've got some new cocktails to look forward to. Mr. C&G has been busy shaking up some new ones over the past few weeks and I've got a lot of catching up to do.